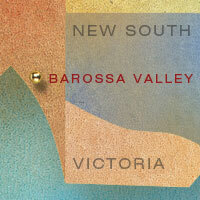 This valley north of Adelaide is probably Australia’s best-known wine region. That’s largely to do with the fact that so many of the industry’s titans, as Parker puts it, have set up shop here - Penfolds, Henschke, Blass, Orlando, Yalumba - and so, naturally, the Barossa wins hands-down for volumes produced. But when this history-rich area at one stage looked set to fall prey to the big brands, enough individualistic producers, perhaps reflecting the spirit of those first Silesian pioneers in the early 1800s, took back the Barossa and re-established the production of wines that reflected its unique terroir, heritage and resource. Resource? Such a corporate term to describe the storehouse of 150-year-old Grenache, Shiraz and Mourvèdre vines that are still cultivated in this veritable dustbowl, a viticultural inheritance matched nowhere else in the world.